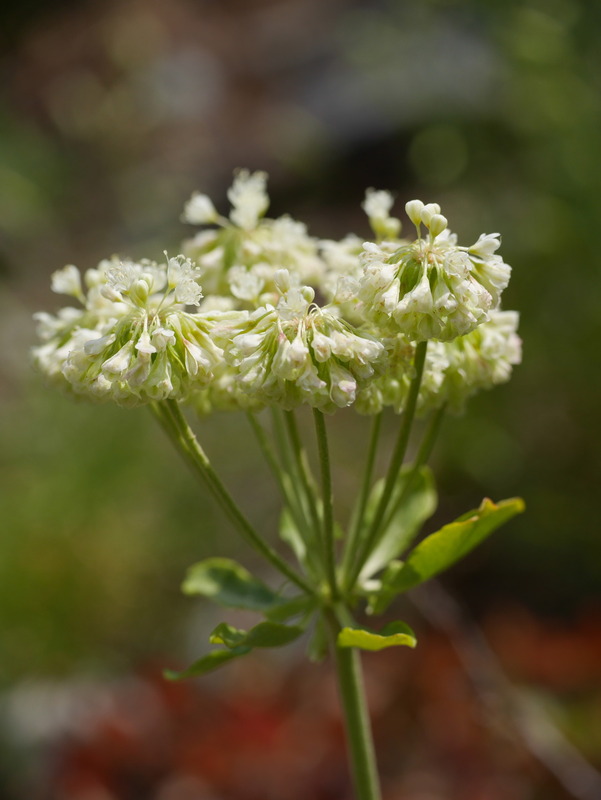 While not a true buckwheat (Fagopyrum), members of the genus Eriogonum also produce (mostly) edible, triangular seeds that can be ground into a flour. This particular species is our most common wild buckwheat here in the PNW and can vary drastically in shape, size, and color. Some plants can grow into shrubs nearly 2 meters tall, while others will never ascend more than a 10 centimeters from the ground. Furthermore, the size and color of inflorescences can vary from tiny, tightly-packed yellow clumps, to reddish umbels, to large, spreading, white bunches. To confirm your species ID, look for E. umbellatum’s bare flowering stems (with a whorl of leaves only at the top) and its glabrous tepals (6 petal-like structures) with a long, narrow tube-like base.